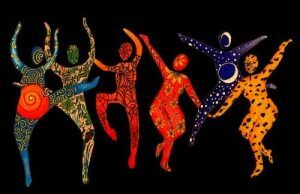 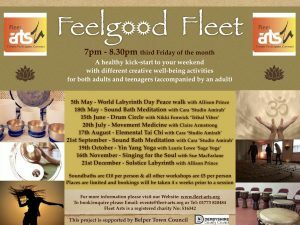 A taster session for people 50+ who would like to keep moving and dancing whatever your ability/mobility (seated or standing) with movement therapist, Andrea Haley. 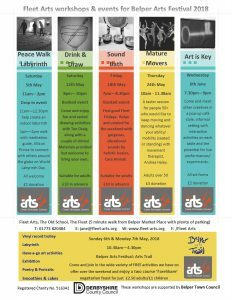 Come and meet other creatives in a pop-up cafe (networking) style, informal setting with interactive activities on each table and the potential for live performances/experiments. 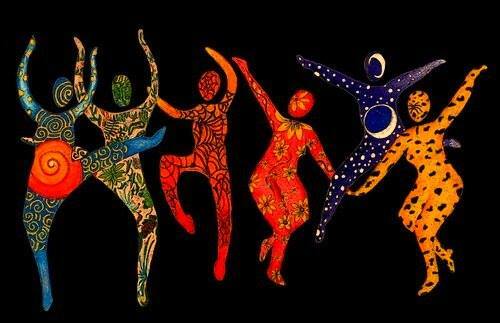 A Family disco where all ages can dance together. 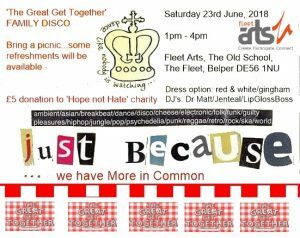 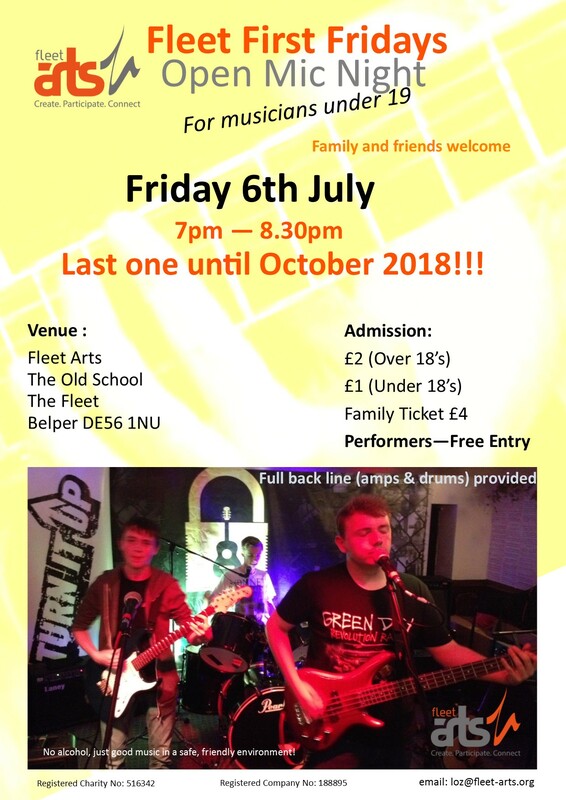 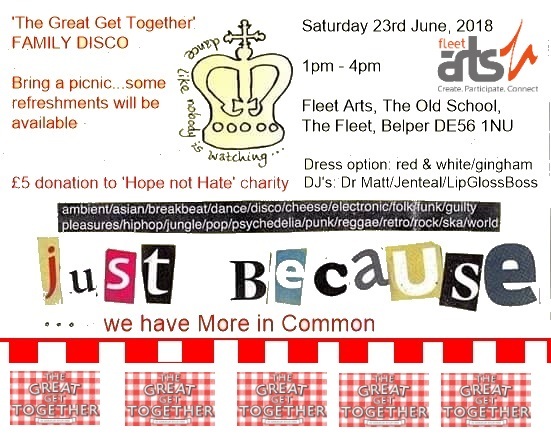 In the spirit of this national community event remembering Jo Cox’s notion that ‘we have more in common’, pop along, bring a picnic and have a boogie to an eclectic range of music by 3 x local DJ’s from the popular ‘Just Because…’ events. 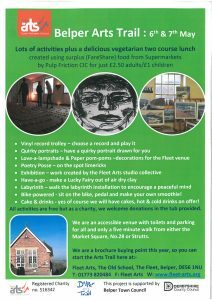 We are an accessible venue with toilets and parking for all and only a five minute walk from either the Market Square, No.28 or Strutts. 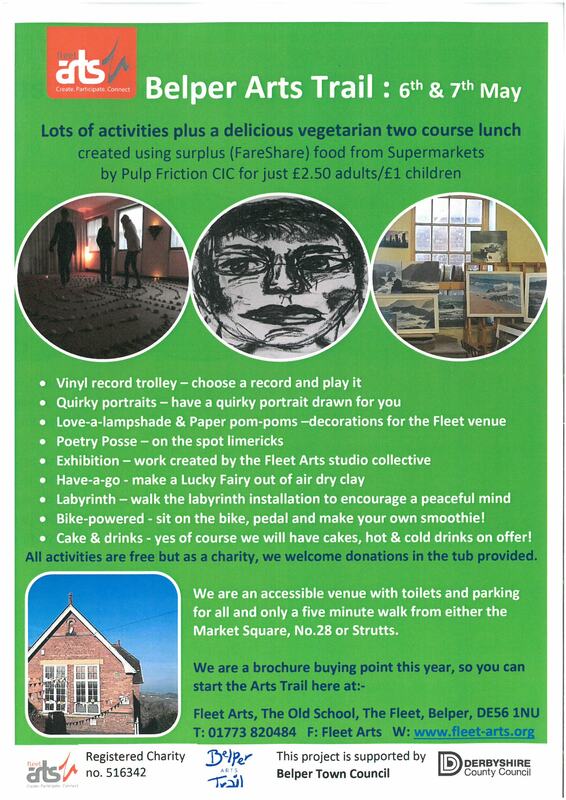 To entice people up the slight hill, there will be a delicious vegetarian two course lunch on offer, created by the fantastic Pulp Friction CIC (insert logo attached as small) with young adults with learning disabilities, using surplus food from Supermarkets (supplied by FareShare) for just £2.50 adults/£1 children. 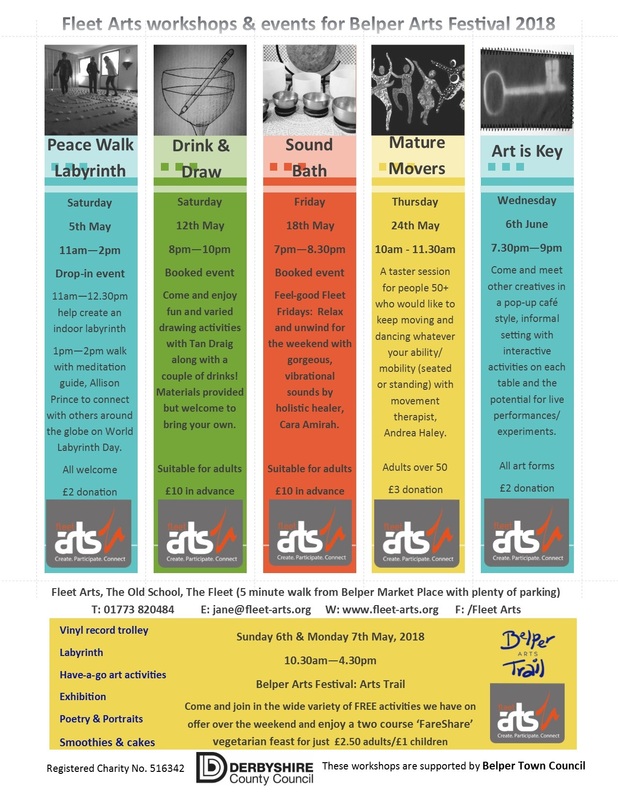 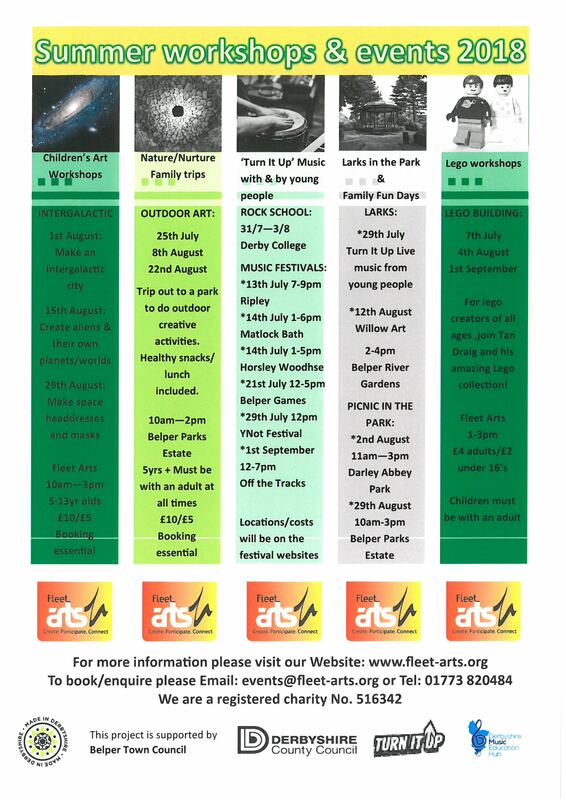 So, why not plan to come to Fleet Arts for some well-earned refreshment and creative fun on your way around the trail! 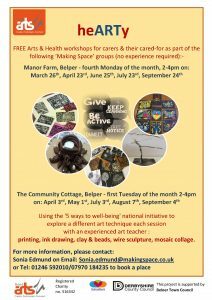 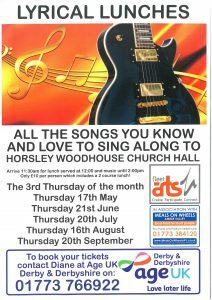 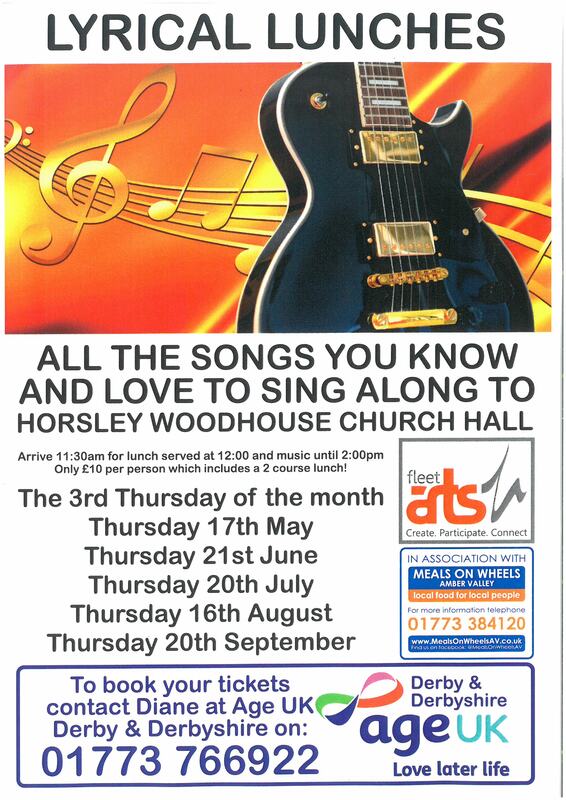 An Arts & Health project for carers & their cared-for as part of two closed (can only attend through Making Space) groups in Belper.